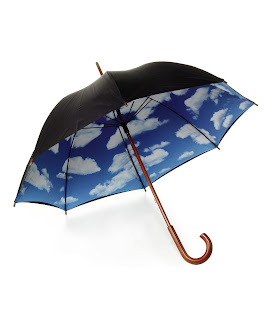 Talk Nerdy To Me: April Showers Bring ... Awesome Umbrellas!! April Showers Bring ... 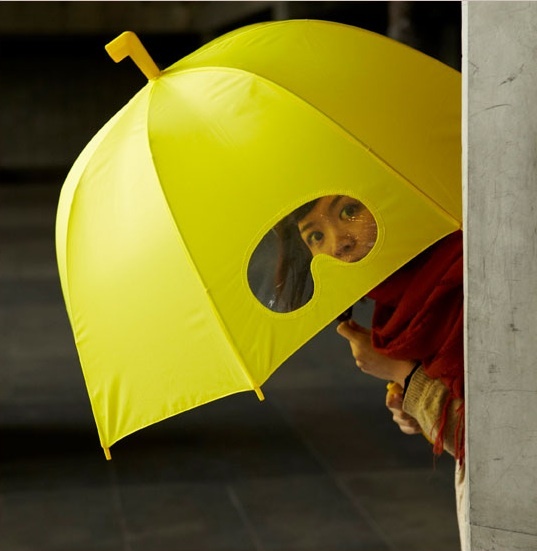 Awesome Umbrellas!! If you're a regular reader you might know how much I heart my Lumadot umbrella. It makes me smile as much as perfect strangers passing by! 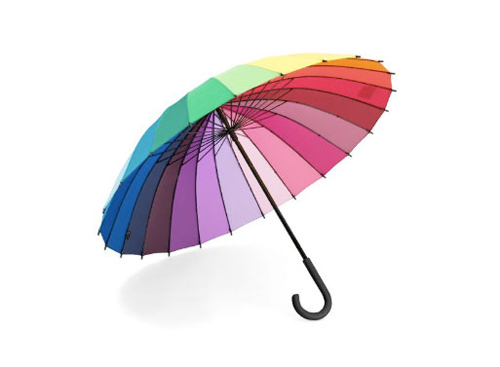 Automatically fades in and out of colors with an easy to operate on/off switch. 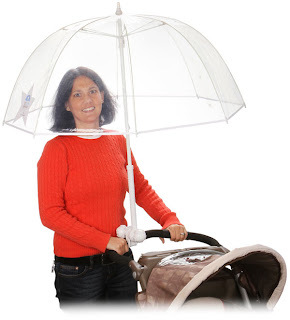 Not sure how great this actually hooks on is but loving the concept! Gloomy days meet the color wheel! Still torn on this one. 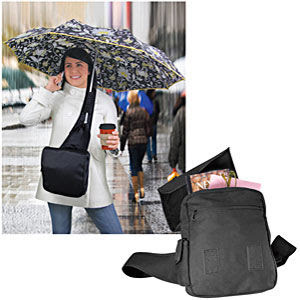 Might as well just have it come out of a fanny pack. Hello, genius! 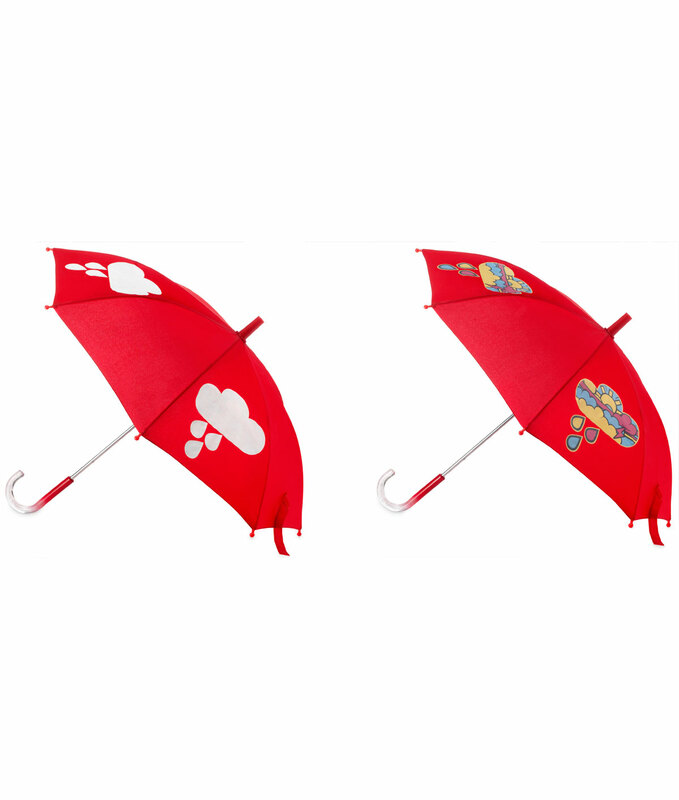 So many dogs walk around NYC soaked - they deserve to be dry too! Looks like clear skies to me! Had to include a business option that is practical! A little appear/disappear action awesome for kids! 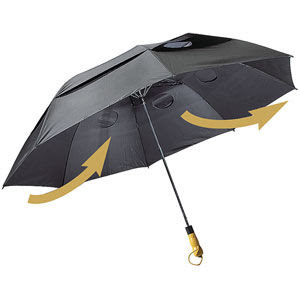 I still want an umbrella that pops out of my hat when I say, "Go Go Gadget Umbrella!" 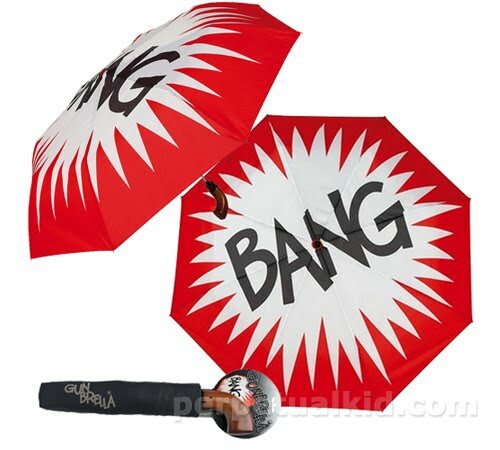 Don't forget the Blade Runner umbrella! 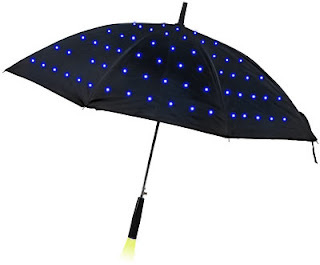 ;) http://www.thinkgeek.com/homeoffice/gear/d163/ Similar to the Globrella but it stays one color. And also... Blade Runner. @jk Haha I like that idea. Sammael - totally on the Blade Runner! I purchased two as gifts last week! !